Sometimes I wish I smoked. The Peace Corps is giving me a lot of time to savor. There are many moments where I don’t want to do anything but think about what I’m experiencing. Sitting on my covered porch during a storm, absorbing the heat from the sun after sitting in air conditioning all morning or listening to Blood on the Tracks: all of these moments call for something to smoke. After speaking Thai, reading and writing all day, sometimes I don’t want to do anything, but I don’t want to do nothing. There are a few of other contributing factors to my craving to smoke. Many Thai smokers roll their own cigarettes and they smell wonderful. Walking through the second-hand smoke of a rolled cigarette is the odor equivalent the gust of aroma that fills a bakery after the ovens with fresh-baked bread are opened. It’s easy not to start smoking in America: cigarettes are expensive and smell as bad as a diaper-eating basset hound. In the same way ignorant parents blamed Marilyn Manson for the massacre at Columbine High School; I could attempt to ban certain literature from my eyes. I’ve been reading a lot of material from the time when cigarette smoking was not only not frowned upon, but pretty cool. F. Scott Fitzgerald, Albert Camus, Ernest Hemingway, John Updike: all of these authors write of protagonists who are constantly smoking. Thankfully, I am a mature man who has plenty of will power to abstain from such a poor habit. When I return home from the office and sit on my porch for a few moments of calm, I eat fruit to keep my hands busy. 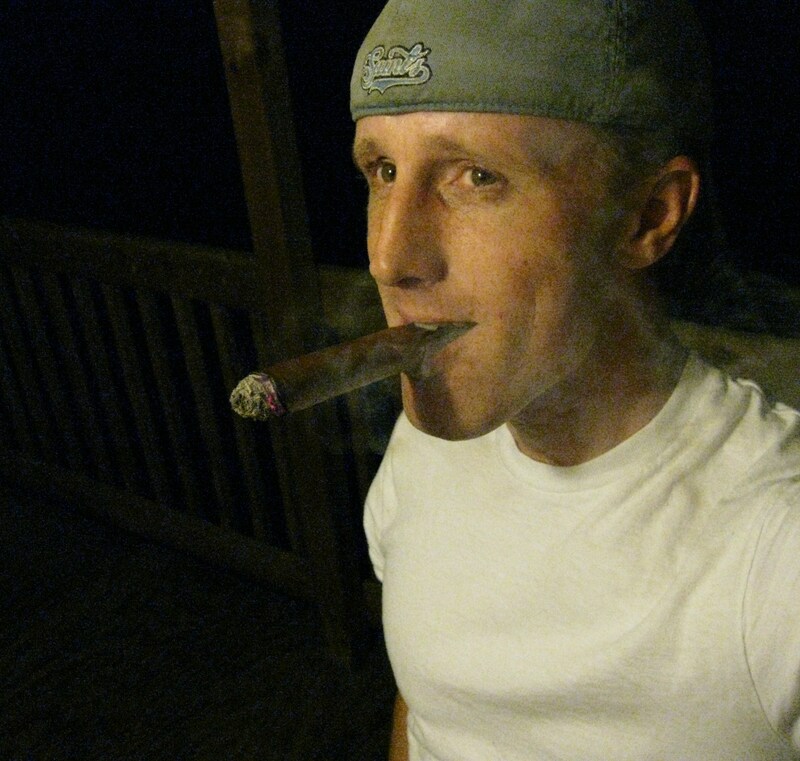 In the states, I was known to smoke the occasional cigar in the summer. Sitting on my back porch on a cool evening with the faint sounds of Tom Waits on my stereo in the living room, a Rolling Rock sitting in the drink holder of my Coleman lawn chair, my cat in the window and a cigar in my hand … what was my point? Yes, I enjoy the occasional cigar, but I have yet to find any in Thailand. I hope to do some searching on my next trip to Surin and/or Bangkok. No, Mother, I’m not going to start smoking. This entry was posted in Peace Corps and tagged albert camus, ernest hemingway, f. scott fitzgerald, smoking by Jeff Jackson. Bookmark the permalink. When I was in BKK, I discovered that Siam Paragon had a pretty decent selection of cigars! I was on the hunt for them and found this website that had some pretty good (and accurate) resources.